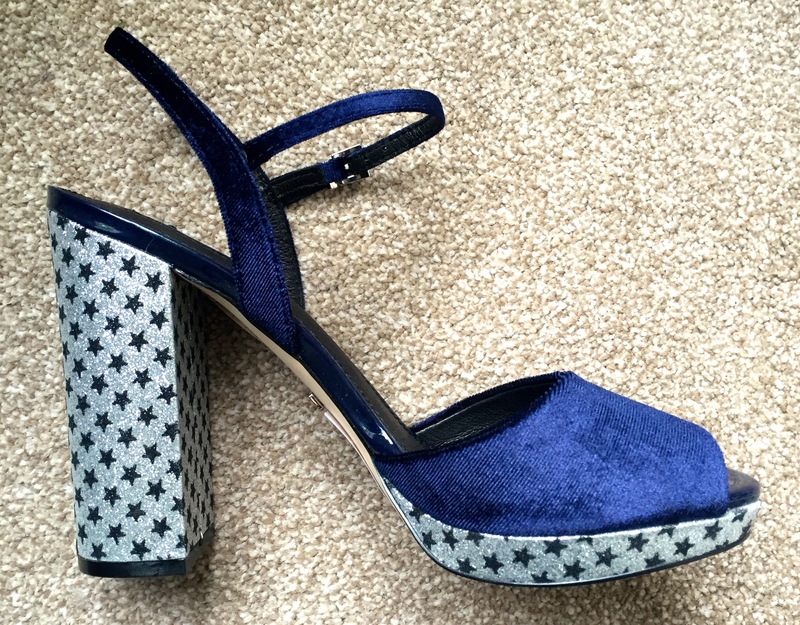 Onto these Topshop bad boys – I had seen them in the run up to Christmas on the website and in store for £50 and I thought hmmmm they’re a bit bloody gorgeous, they’ve got stars on so I feel practically compelled to own them but £50 is a bit much given this is not the time of year to be buying for myself. So I resisted. And I pinned them to my Shoe Fetish Pinterest board. And I waited. But as soon as the January sales came around, I went onto the website and was chuffed to see that they were still on there in my size! AND only half price – £25! Bingo! Now they are terribly pretty to look at, but I’m not sure how long they’d last if I actually wanted to wear them outside of the house. You see they’re suede and very glittery and those two things don’t combine well with anywhere serving drinks or with potentially sticky floors. 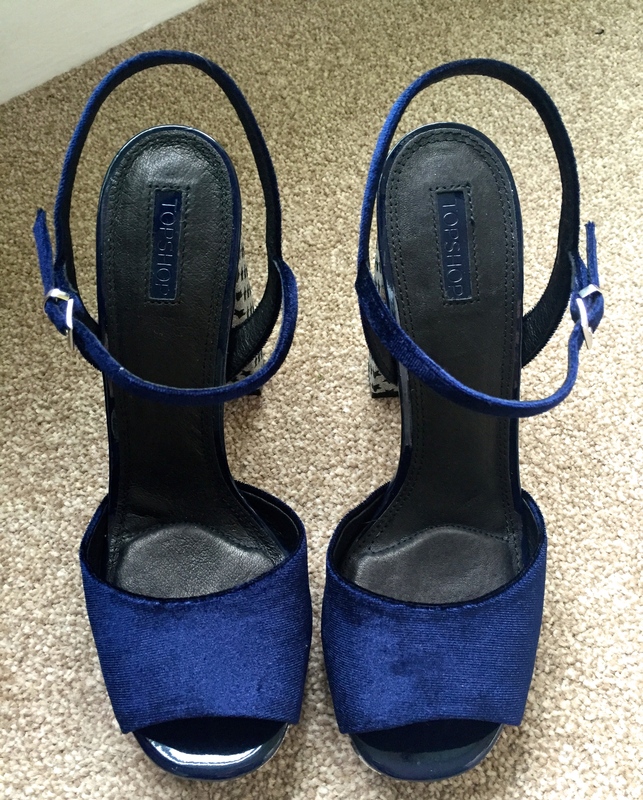 I could maybe wear them to a wedding – and I’ve got two of those (as well as mine ours) coming up next year. They’re also relatively chunky in the heel and the strap attaching them to your ankle is relatively skinny in comparison. Very delicate on your feet but perhaps not so long-lasting. 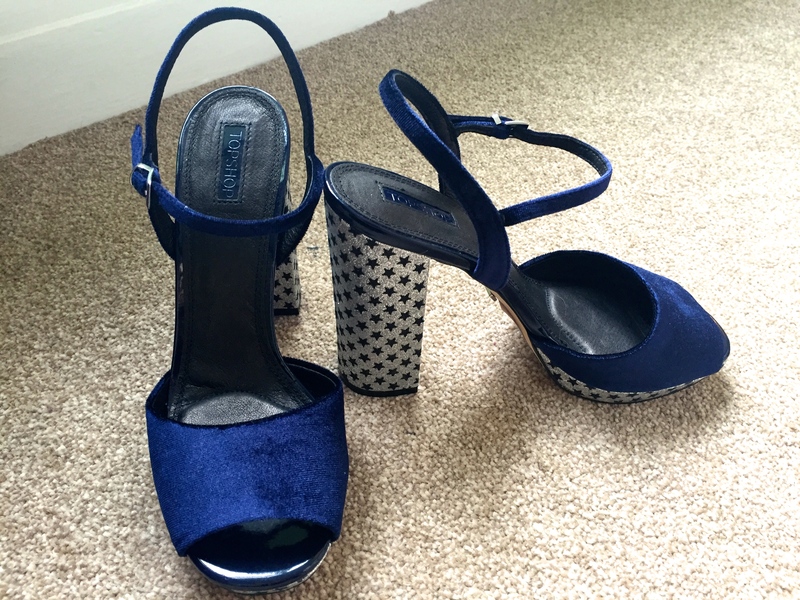 I do love them – they’re so pretty – but I just don’t know whether to keep them. What do you think? I guess for the sake of £25 they’re probably worth it. And when I was trying them on in Topshop a girl did walk past and say “they’re amazing”. Eeeeeep that probably sealed the deal. Thanks random stranger! How would you style them up? They’re so cute aren’t they! Super 70s feel.